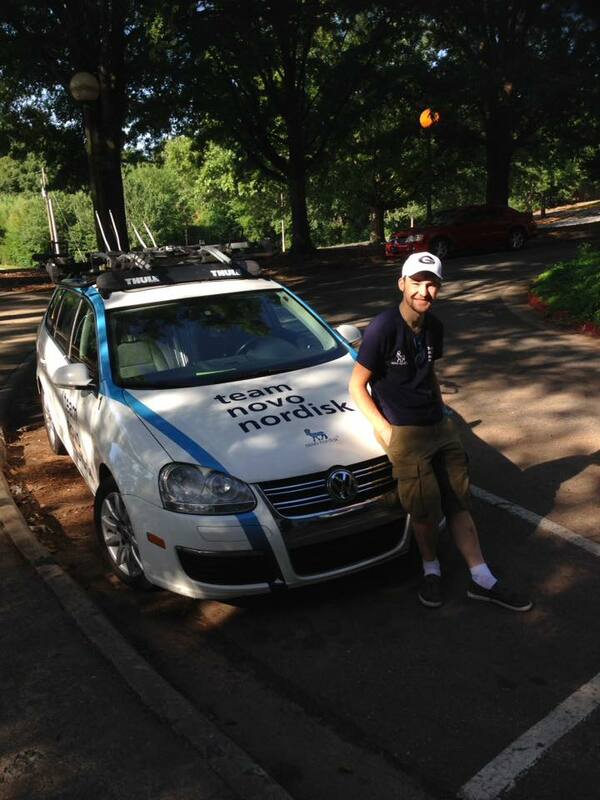 Team Novo Nordisk is a team of professional cyclists based in Athens, USA. 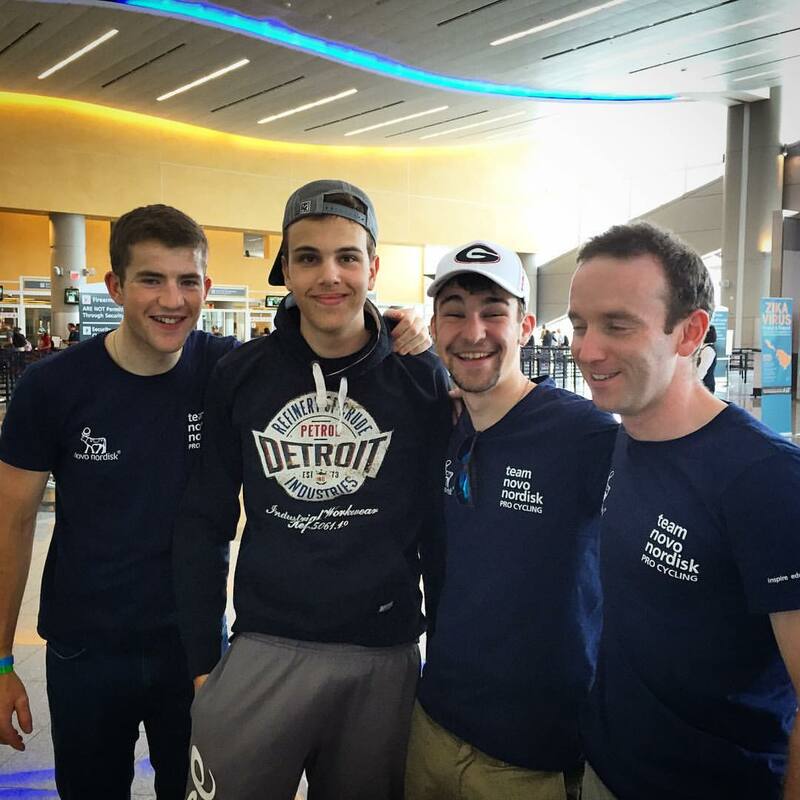 A few years ago the team announced their riders would comprises of all type 1 diabetic riders. 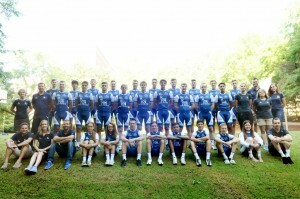 In recent years with the backing of Novo Nordisk, a large pharmaceutical company and the largest producer of insulin, the hormone diabetics do not naturally produce, Team Novo Nordisk have become a strong world tour team. Their ultimate goal is to compete in the tour de France by 2021, 100 years since the first production of insulin. This is not an easy task, other world tour teams will pick the best upcoming riders and hire strong riders which are already proved on a world stage. Selecting only diabetic riders means talent ID camps must draw riders with potential from all of the world. This is my week at one of these talent ID camps trying to prove myself and learn everything I can from Team Novo Nordisks team of cyclists, coaches, managers and medical staff both with regards to my cycling and diabetes control. In the months leading to the camp I have been sending monthly updates on my racing, training and health as well as following a general training plan from the teams coaches. Having met the requirements I was invited on the camp. 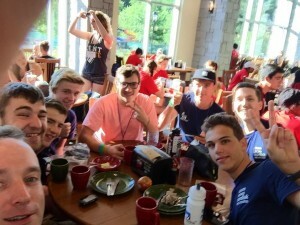 Day 1: Arrival and introductions. Having arrived in the afternoon at the camp very little was done other than an introduction to the Georgia university campus, rules of the camp and an introduction to the staff and riders. Joining the talent ID riders such as myself was some of the current junior team riders and the current development team riders. The development team is what the talent ID riders are aspiring to be. They live and train together in the team house with aspirations to make it to the professional team. Staff introductions included the coach, mechanic and support staff as well as a full medical team which would be monitoring our blood glucose and provide round the clock help, support and advice for all things diabetes. As well as some much needed advice on what to avoid in the very much American sized food hall! Day 2: Easy ride and photos. 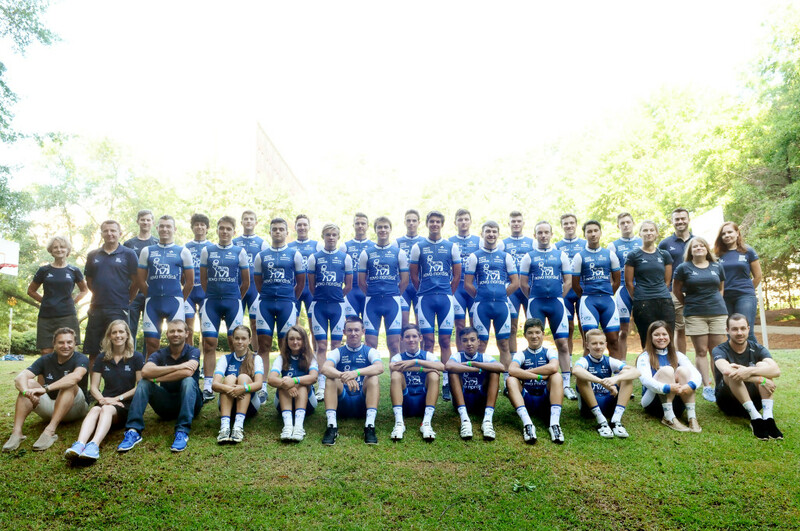 After breakfast it was straight into the team kits for group photos with the other riders and staff with Team Novo Nordisk’s professional photographer. This was followed by a short ride getting us used to the training circuit we would be using and also taking more photos of riding together and sprinting. No real training was done other than practice of group riding and going back to the team car for bottles. In the evening everyone went to do an hour and a half yoga class. This was to give an idea of how to improve breathing, flexibility and core strength away from the bike. The exercise was amusing, with more people suffering with low blood sugar than when actually cycling! Day 3: lactate threshold test. Into the pain cave… A more scientific version of a standard ramp test was the activity of the day. Starting at 100 watts every 5 minutes the watts would be increased by 25 and a blood glucose and lactate blood test would be taken from the ear. When lactate reached over 4.0 the test would be concluded. Perceived excision and heart rate was also recorded. After returning home the results were sent through and explained to us in more detail. This gave us an interesting look at our physical ability on a bike and when the suffering really starts in terms of power, but also how this effects out blood sugars. The power and heart rate data will enable me to train more effectively especially when following set programmes as well as an understanding of what my blood sugar will be doing under that effort. In theory this should help with food and insulin intake to get the most out of my performance without hindrance from diabetes. Day 4: 3 1\2 hour ride and skill ride in afternoon. This ride was aimed towards specific efforts and training. After a warm up riding in the group riders were split into teams with a pre-selected rider as a sprinter and the other riders to work out a lead out train. After this the same activity with anyone sprinting. This however turned into a road race of attacks and breakaways. Happy to finish in the top group of development riders and select few ID campers off the front form the rest of the riders. 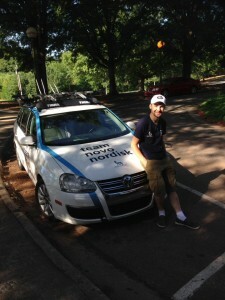 The next activity was from behind the team car, in this, one of the development riders would do a pursuit effort holding 30 seconds in front of the car. Riders would then attempt a “break away” sprint effort from behind the car and bridge across to the lone rider. Once there back of the pace and head back behind the car. Number of efforts were subject to how good you felt! The exercise was brilliant and something which I have employed in road races and training since being back home! All in all over 13 bottle consumed in the heat and happy with the days efforts. Very glad for the big ice cooler in the team car handing us drinks, 34 degree heat added an extra element of toughness to the days training! Skills in the afternoon was held in a local playing field with riders in casual wear and trainers. The skills were designed to eliminate riders, such as riding round cones which got closer and closer together. A range of games were also taken place in teams. A relay race where riders had to drop of a bottle on the floor standing up and then return to pick up the bottle and bring it back. Next a game where teams had to pick up and pass American footballs to score in a small box, with other teams also trying to score and prevent scoring. Finally a game with tags attached to the back of jerseys where riders had to ride in a small box stealing other tags while protecting their own. The skills session was difficult and lots of fun. Defiantly thankful for previous cyclocross experience and skills games from Preston arena! Day 5: 4hour ride packing up and tactics talk. The hardest ride of the camp. All week we had been told this was the day we would be really tested and our abilities analysed. Chain gang and escape group. Two chain gang groups formed and set a high continuous pace. A group of four riders myself, two other British riders and an America rider then worked together to maintain a gap in the middle of the two groups. Left hanging for a good hour, just like racing back home! After a long few exercises on the bike this really tested many of the riders. Attacking from behind the car to an escape group, going as hard as possible at the front of the escape group and then returning behind the car. As more people dropped off the harder it became leaving a select group of myself and three other id camp riders and a few of the development team. Time trial and sprint home. The final effort was myself and one of the development riders attacking the group and give 40 seconds before the chase commenced. The idea was for us to be caught and a sprint finish to the line take place. Tired but determined my effort quickly became a solo effort as the other rider gave up and got caught. After 8k away on my own getting confused at a junction ended up being my end and got caught, oops! All in all a good day and very much looking forward to the evening’s meal! 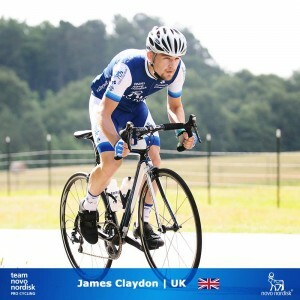 This week has been an amazing experience, meeting new people all with the same drive and determination not only to ride a bike but to take on the sport which managing their diabetes. Above everything I feel I have made friends for life from all around the world. We have all agreed we will meet up and ride together soon! I have learned so much from this camp, again not only making me a better athlete but with the knowledge to better manage my diabetes and be healthier all round. Can’t wait to see the impact this camp will have on next seasons races. Novo Nordisk have told us we can email them with any questions about training and diabetes and are still asking for regular updates and sending a generic training plan. They have also invited myself and other campers to return for next year’s Talent ID Camp. The development team selection is sometime in October so who knows, the next adventure might be just around the corner.